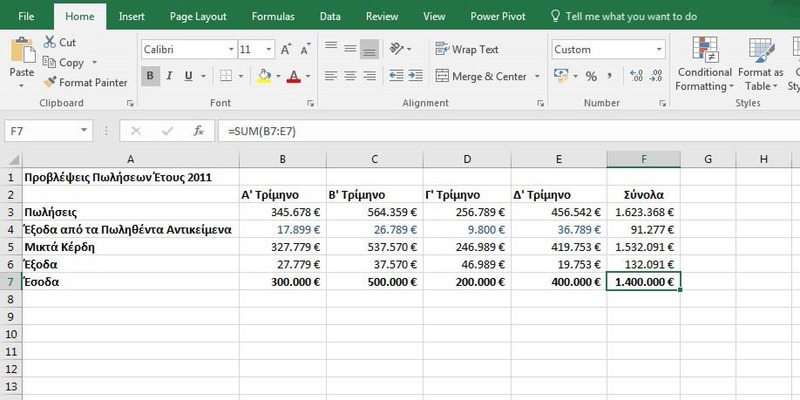 Imagine that we have created an Excel Workbook which contains Formulas which we need to distribute to others. The only problem is that we don’t want to reveal the Formulas that our Workbook contains. In the post described below, you can learn how to copy a Worksheet to a different Workbook with only the Results to be shown and not the actual Formulas. In the image below we can see our Worksheet with all the necessary information, and we also notice that it contains Formulas. At the Formula Bar we can see the actual Formula.